While stressing over his own future and facing pressure from Gray and Mason to bring their relationship out of the closet, Jack is severely wounded in the line of duty. His recovery, both physical and emotional, might be more than their unconventional relationship can bear. Jack is going to need all the courage and support his lovers can give him if he's going to bring himself back from the dead and create the life he wants to live. Wonderfully written and expertly narrated. The bits with Jack and his lovers are steamy. The main story of Jack and his doubts about himself and his future are incredibly relatable. 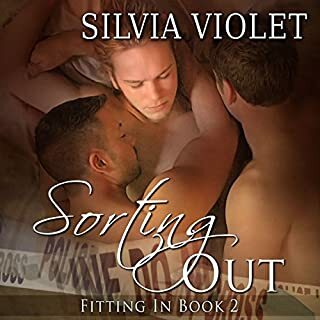 Silvia Violet does a wonderful job of pushing her characters to grow, even when they are as fearful of change as Jack. We should all be so lucky to have people in our lives to force use to voice our thoughts, and shine lights on how simple solution can be when we work ourselves up by overthinking. Greg Boudreaux, as always, provides wonderful performance and has the characters leaping from the page. He is always a joy to listen to. Short and oh so sweet. ...not that I wasn’t perfectly independent. I could take care of myself, it was just a drag to always have to. That line struck me, and made the story so relatable, especially with me being single myself. I enjoyed the fact that both characters were so self-aware. It was was short and sweet but left me wanting to hear more of their story. The narration was amazing! 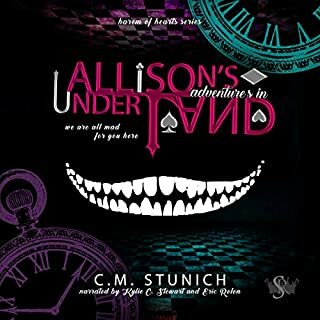 Alice in Wonderland is a favorite of mine and I’ve read several adaptations. This is one of my favorites (and not for the obvious reasons) I love the twist on all characters and the story so far is intriguing. The narration is amazing! My curiosity just might drive me mad, waiting for the next book! I could not stop listening to this series! (I listened to all four book in about 2 weeks)It’s wonderfully steamy but also emphasizes proper values in relationships like honesty and communication. The plot carries well throughout the series and I found the characters entertaining and relatable.